Although I don’t necessarily believe in ghosts, I do have a massive fear that in releasing this recipe my deceased Grandma Topp may actually feel inspired to come down from the heavens and give me a stern talking to. That being said so many friends have been asking for this recipe that I felt it was time to share. So without further ado here is Kass’ Sausage Stuffing for Turkey Recipe, also known as the Best Stuffing Recipe Ever. 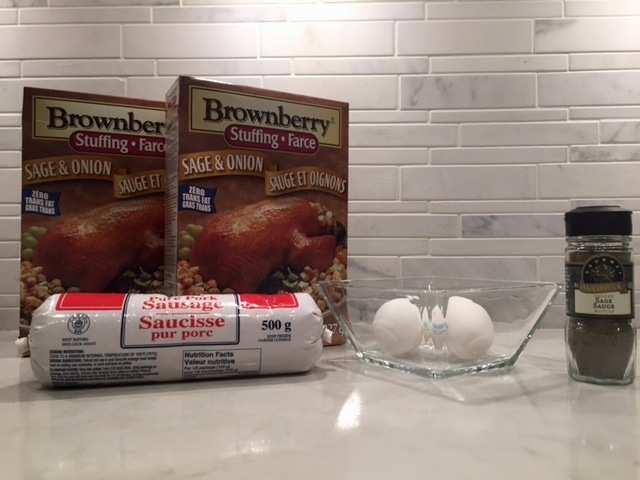 Note: You need to prepare this stuffing the night before you are going to stuff and bake the turkey. Why? 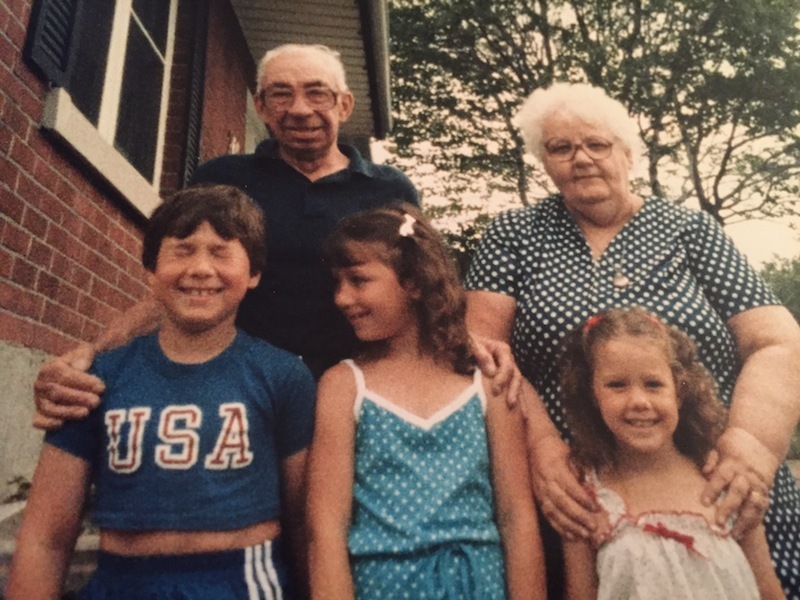 Because Grandma Topp said so! 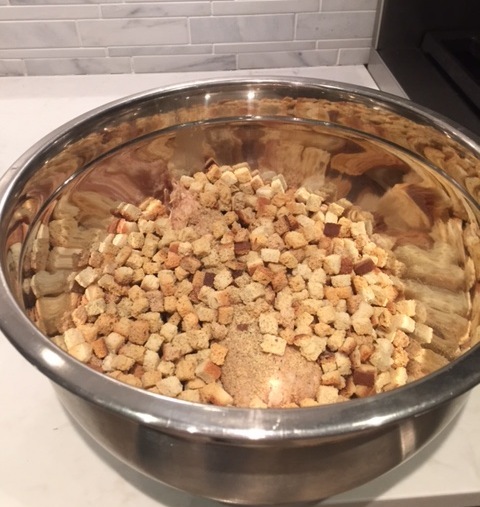 If you are short on time, prepare it and let it sit at room temperature for about 4 hours or until the breadcrumbs aren’t crunchy anymore. Thaw the sausage roll in the fridge or sink until it is able to be squished with your hands. 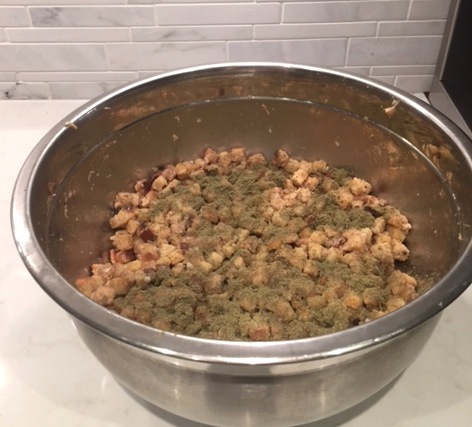 Combine sausage and stuffing in bowl and mix well with your hands. This part is gross but Grandma Topp did it and so can you. Add in 3 eggs and mix again. Add water slowly to the combination and mix well. I add about half a cup of water at a time. If the mixture seems too dry at a little more but stop at 2 cups. The texture should be sticky and wet but the breadcrumbs will still feel hard at this point. Cover the top in with sage. I use about 2 tsp but Grandma Topp would not be happy about this and recommend you only use 1 tsp. Cover the bowl with tea towel and leave in the fridge overnight. The next morning remove stuffing from fridge. Let sit if possible to bring to room temperature. Mix again with your hands to combine sage into the stuffing. If dry add a little more luke warm water (about 1/2 a cup). 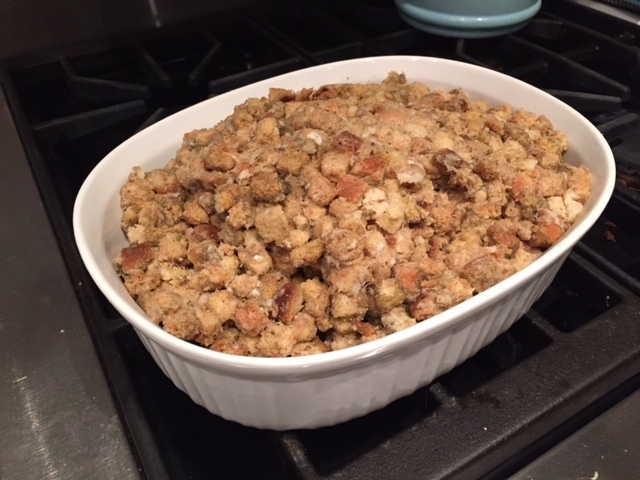 Stuff turkey with stuffing and cook as instructed or place the stuffing in a casserole dish (3 quart or 9×13-inch) and bake for about 55 minutes, or until crisp and heated through. 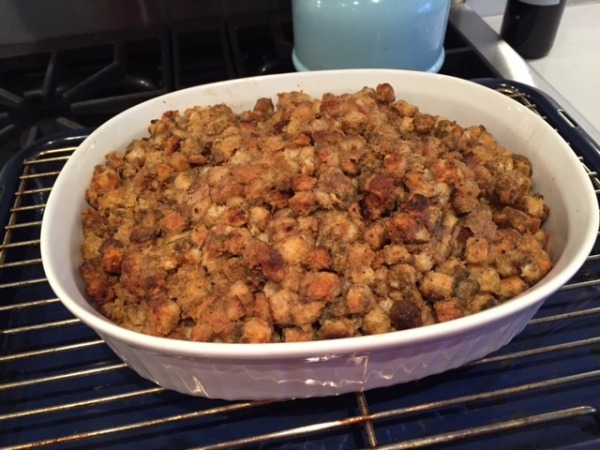 Enjoy this Sausage Stuffing for Turkey Recipe and give a holiday thought to Kathleen Topp who seriously did not want you to have this recipe. Like at all. Ever.